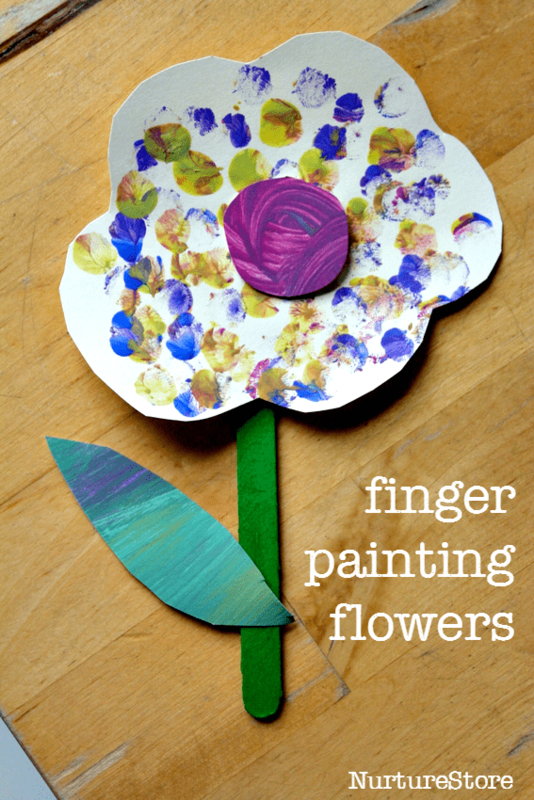 Such a pretty flower craft, just right for babies and toddlers who love finger painting. 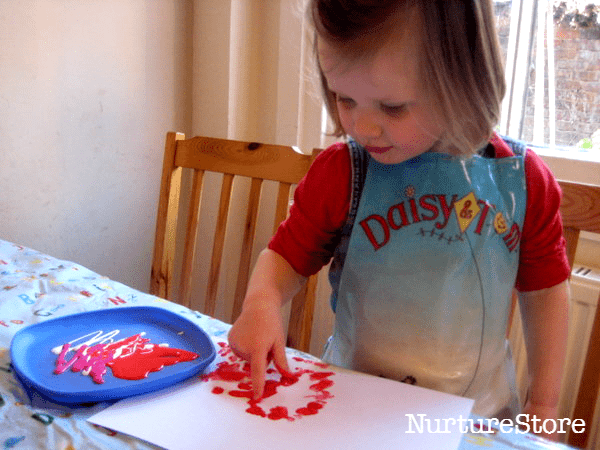 Although sweet crafts are lovely, for babies and toddlers the focus of art should be on exploring the colours, textures and sensations of the process. I do think there is a place for crafts and art, and this little flower idea lets you happily combine the two. Finger painting is such a classic art project in the early years, and rightly so. 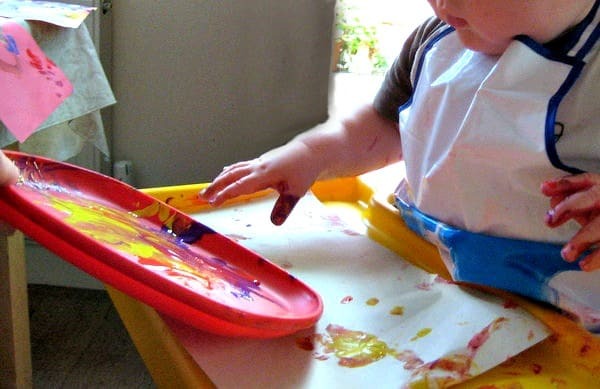 Children need to be hands-on and (if they enjoy it) exploring paints with your fingers and hands is a sensory delight. You can take precautions to not get too messy by making sure tables and clothes are covered up, and then go for it. Accept that there will be some mess – embrace it – and then encourage your children to explore and enjoy the process. Colour mixing is to be encouraged. 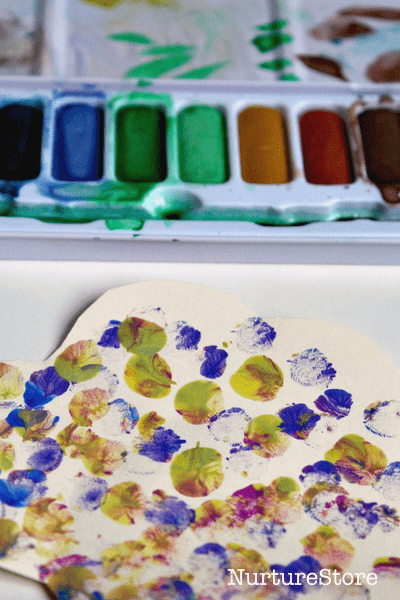 Make your child’s first art explorations a positive experience, full of yes-es. 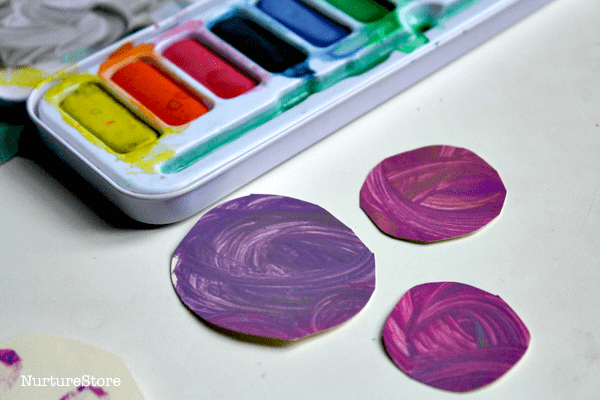 Placing some paint on a plate makes it easy for your child to access it with fingers and their full hand – but also makes it easy to remove when it is time to tidy up. You can also tape the paper or card you are using down onto the tray of your highchair or your table, to keep it still while your child is painting. 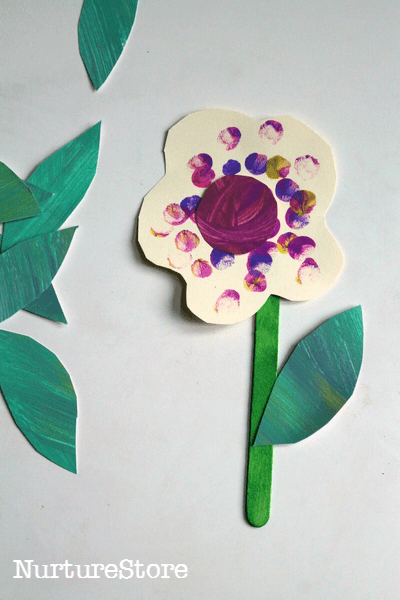 For these spring flowers we used card to paint on using finger prints, and also swirls to make the centre of the flower. 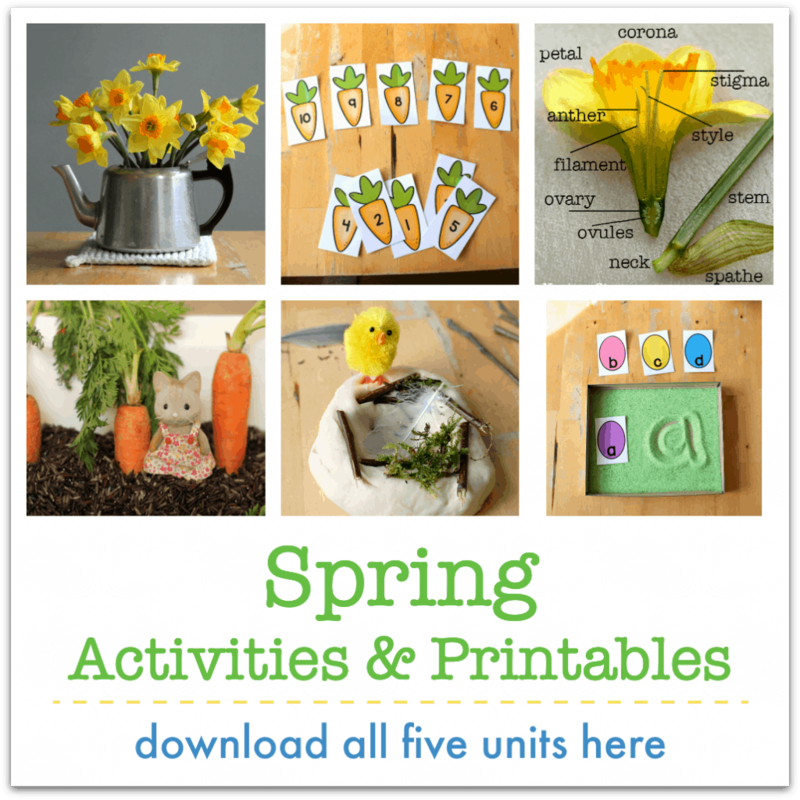 Enjoy the process whether your child makes just a few little marks on the card, or layers on the prints. 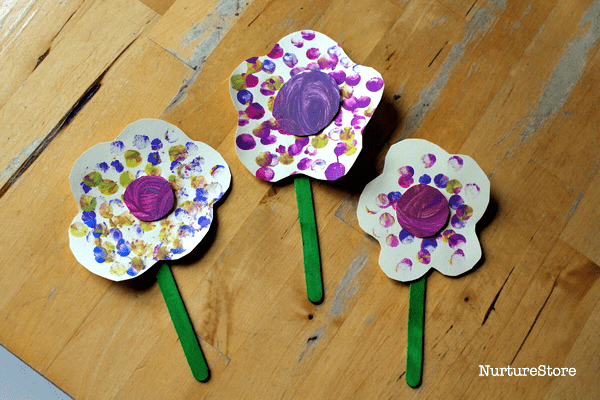 Once the paint is dry, you can cut out some simple flowers shapes and use a lollipop stick as a stalk. You can use tape or glue to stick on the stalk and maybe a green leaf too, and you have a sweet little finger painting flower to display or give as a gift.